Wreaths have been laid at the Accrington Pals memorial in the French village of Serre ahead of today's Battle of the Somme commemorations. At 7.28am the nation will fall silent to mark the moments prior to 7.30am - the time the "Tommies" and the French launched the attack on German lines and one of the bloodiest battles in British military history began - before a day of commemorative events to honour the fallen begins. Thousands of soldiers were killed in the first few minutes and than one million soldiers were killed, missing, or wounded on both sides by the time it ended on the 18th of November 1916. The UK will commemorate the Centenary of the Battle of the Somme in Manchester. 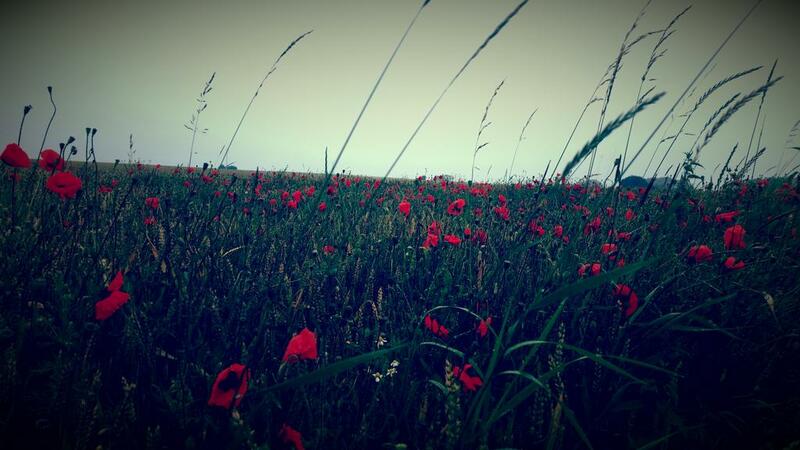 Poppies grow on the Somme battlefield where tomorrow marks the hundredth anniverary of the deaths of thousands of North West soldiers. Tomorrow is the 100th anniversary of the Battle of the Somme. At 7.30 on the morning of the 1st of July 1916 over just a few hours almost 58,000 British troops were killed, wounded or missing. Many were from the North West. Paul Crone takes a look at the story of seven men tunnelling into no-mans land which ended in tragedy. The Centenary of the Battle of the Somme. Credit: ITV News. As the nation prepares to commemorate the 100th anniversary of the battle of the Somme, we have a series of special reports on Granada Reports. Today we're featuring the story of two soldiers from the north west who survived - for very different reasons. A man has revealed how his grandfather escaped death during the Battle of the Somme when a bullet was deflected by a spoon and a Bible. As the nation prepares to commemorate the 100th anniversary of the Battle of the Somme in Manchester this Friday, we have a series of special reports on Granada Reports. Tonight we're featuring the story of two soliders from the North West who survived - for very different reasons. A commemorative service is being held to mark the bravery of a soldier from Preston who won the Victoria Cross a hundred years ago. Plans have been unveiled to transform an iconic building in Liverpool to mark the centenary of the Battle of the Somme during the First World War. Liverpool BID Company have commissioned local artists to reflect ‘the human story of the war’ by using an archive of letters from soldiers to their loved ones held at Liverpool John Moores University. The giant commemorative artwork is to animate The Lyceum, a Grade II* listed building on Bold Street, which for many years was a post office and is currently vacant. Designed by The Sound Agents: John Campbell and Moira Kenny, the installation will see five 14m high panels fixed between the building’s Doric columns. 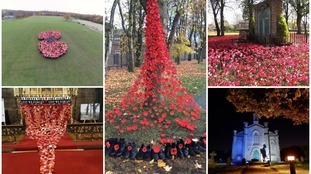 It will also incorporate a poppy motif as a tribute to the fallen as well as a salute to the Weeping Window installation that adorned St George’s Hall, which attracted more than 350,000 people over the winter. The project was devised as part of Liverpool’s Healthy High Street programme, which aims to increase footfall and reduce the number of vacant units in the city centre, and subject to planning approval could be installed by mid-May. ‘’We were truly overwhelmed by the response to the poppies at St George’s Hall but it is important that Liverpool continues to commemorate the events of World War I as so many people from this city paid the ultimate sacrifice. ‘’For their families the only thing they had to remember them by was their letters and how our soldiers managed to pen and send them in truly horrific conditions is a minor miracle. We are fortunate in Liverpool to have such a precious archive that has recorded their stories for us all to see what war truly means.